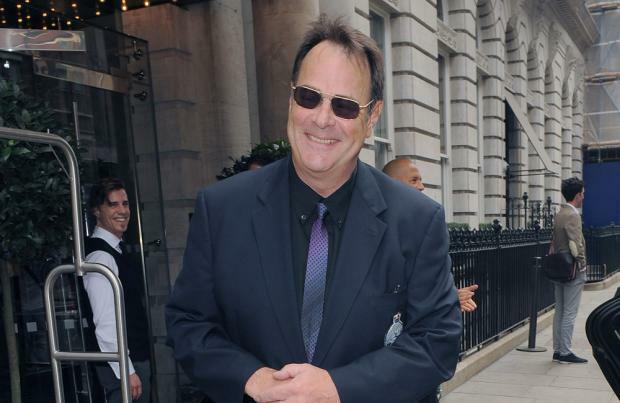 Dan Aykroyd still has hope in Bill Murray making an appearance in 'Ghostbusters 3' because the script is "so good"
Dan Aykroyd says 'Ghostbusters 3' could still feature an appearance from Bill Murray. The 66-year-old actor appeared alongside the 'Lost in Translation' star (Dr. Peter Venkman), Ernie Hudson (Winston Zeddmore) and the late Harold Ramis (Dr. Egon Spengler) – who died in February 2014 – in the franchise, and hasn't ruled out a reunion with the three remaining Ghostbusters in the follow-up to 1989's 'Ghostbusters 2'. Appearing on AXS TV's The Big Interview with Dan Rather, he said: "There is a possibility of a reunion with the three remaining Ghostbusters. "It's being written right now." Dan teased that the script is "so good", he can't see Bill turning it down, even if he doesn't return as a Ghostbuster. The filmmaker added: "I think Billy [Murray] will come. The story's so good – even if he plays a ghost." This is despite Bill previously ruling himself out of a return. Dan said: "I never begrudged him not being in the third movie, though I wrote a nice part for him in 'Hellbent', where the Ghostbusters go to hell. "He's got very high standards and a high bulls**t detector." Bill, 68, was reluctant to return to the franchise because the second 'Ghostbusters' movie was less well received than the original. However, he has since made a cameo appearance as Martin Heiss alongside Melissa McCarthy (Abby Yates), Kristen Wiig (Erin Gilbert), Kate McKinnon (Dr. Jillian Holtzmann), Leslie Jones (Patty Tolan) and Chris Hemsworth (Kevin) in the 2016 reboot. Dan also appeared as cab driver in the movie which was directed by Paul Feig. Another instalment for the ever popular Ghostbusters franchise. This is a sequel to the first two films and is directed by Jason Reitman, son of their director, Ivan Reitman.